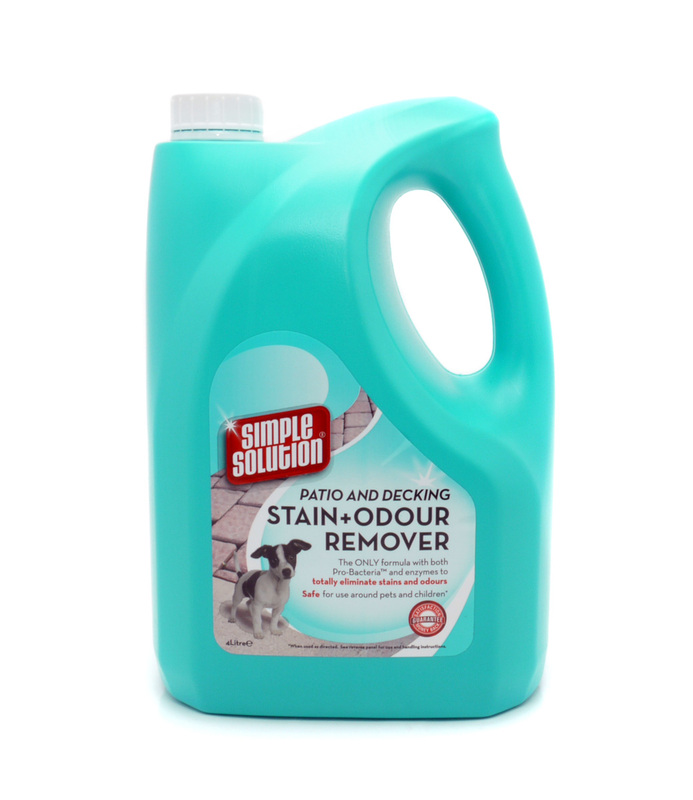 The Simple Solution Patio & Decking Stain & Odour Remover uses the latest bacterial enzyme technology to instantly target and remove pet waste odours by accelerating breakdown to give you professional results. The grass fragrance will leave your patio smelling fresh and clean. Each bottle will treat up to 25,000 square feet, and can be used on decking, furniture, concrete, rock and more. Below are some recent questions we've received regarding Simple Solution Patio & Decking Stain & Odour Remover, including answers from our team. Is this product safe for dogs to walk on whilst wet? We always recommend letting the product dry before allowing pets to walk over it.